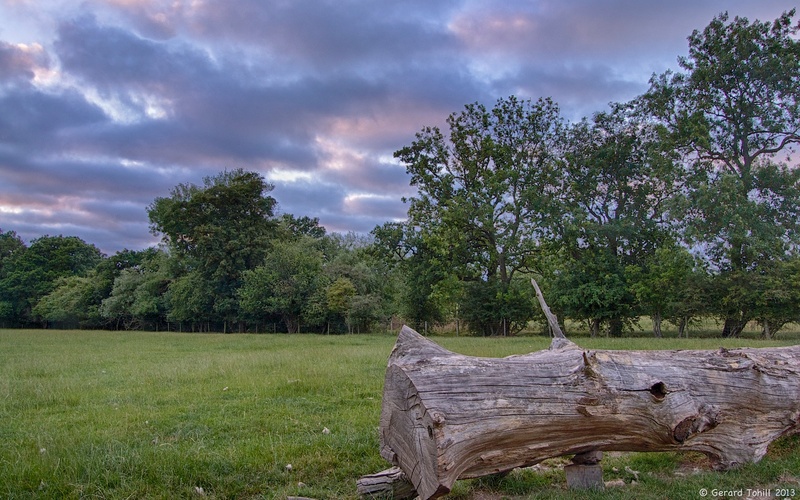 The fallen oak is a great place to sit and observer the Worcestershire countryside. At sunset, the clouds were gathering and I knew I only had a few minutes before the light became dull and featureless, so I took a quick HDR set to process later. I even managed to ignore the enormous bull that was in the same field – but he thankfully seemed not interested in either photography, nor photographers.